Bobcat remanufactured parts and components provide just-like-new performance and reliability at a low cost – while helping the environment. Plus, they’re readily available at your dealership. This gives you more economical options for repairs and replacements and helps your equipment quickly get back to work. 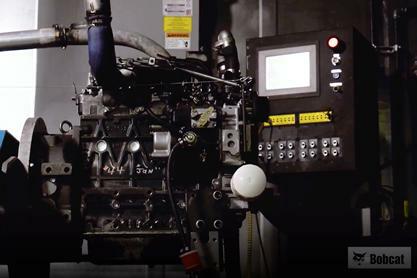 Find out how choosing remanufactured parts from Bobcat can benefit your machine, your business, and the environment. Completely different from “rebuilding,” remanufacturing is a process during which a used part is sent in, fully disassembled, cleaned, re-machined (if required), and Original Equipment Manufacturer (OEM) parts placed back into the piece during the reassembly process. Products are returned to the original "same-as-new" condition or sometimes better in terms of durability, life span, and performance. Unlike generic parts, each genuine remanufactured part is engineered to deliver like-new performance that meets stringent Bobcat performance specs. Plus, if you’re replacing a part in an older model, the remanufactured part has been brought up to date with the latest changes and specifications, improving performance in older machines. When you trade in your part at your local dealer, you can save up to 40% by buying remanufactured parts instead of new. And since remanufactured parts contain OEM components, Bobcat Company backs your purchase with the same 12-month warranty as brand-new parts. Downtime is the enemy of your bottom line. The faster your machine can get back on the job site, the better. So with thousands of current and older-model parts ready to ship or even on your dealer’s shelf, the availability of Bobcat remanufactured parts can’t be matched. Order by four o’clock in the afternoon, and you can expect your part to be at your dealership within 2-3 days. Each year, Bobcat Company’s Remanufacturing Program keeps roughly 2 million pounds of waste out of landfills and reduces the need for raw materials for new parts. Through diligent EPA compliance, we’re able to protect the environment and keep our promise of corporate responsibility to our customers, dealers, and shareholders. Easily exchange worn out machine parts with remanufactured ones. Just bring them to your local dealer and use their value toward remanufactured replacements. It’s one more way we support your equipment and help lower your ownership costs.